What is Altitude Sickness (Mountain Sickness)? Altitude sickness (also known as mountain sickness) occurs when you cannot get enough oxygen from the air at high altitudes. This causes symptoms such as a headache, loss of appetite, and trouble sleeping. It happens most often when people who are not used to high altitudes go quickly from lower altitudes to 8000 ft (2438 m) or higher. For example, you may get a headache when you drive over a high mountain pass, hike to a high altitude, or arrive at a mountain resort. Mild altitude sickness is common. In the United States, more than 20% of people visiting the western mountains get it.1 Experts do not know who will get it and who will not. Being male or female and your fitness level play no role in whether you get altitude sickness. Men are at greater risk of altitude sickness than women, for reasons unknown. It is important to remember that being young and fit doesn't reduce your risk, and just because you haven't experienced altitude sickness in the past, doesn't mean you are immune to the condition during future climbs. The only sure method of prevention is to take plenty of time to ascend. 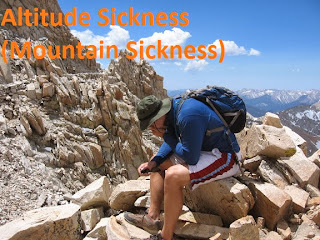 What causes Altitude Sickness (Mountain Sickness)? Air is "thinner" at high altitudes. When you go too high too fast, your body cannot get as much oxygen as it needs. This causes the headache and other symptoms of altitude sickness. As your body gets used to the altitude, the symptoms go away. What are the symptoms of Altitude Sickness (Mountain Sickness)? Feeling weak and lazy. In severe cases, you do not have the energy to eat, dress yourself, or do anything. Short-term altitude sickness also include dizziness, fatigue, shortness of breath, loss of appetite, sleep problems and a general loss of energy. Symptoms usually begin within 12 to 24 hours of arriving at a high altitude. Symptoms lessen within a day or two as the person gets used to the altitude. Who is at risk for Altitude Sickness (Mountain Sickness)? The more rapidly a climb to high altitude, the more likely that altitude sickness will develop. Altitude sickness also is more likely to develop when climbs are more difficult and take more energy, compared with a slow and easy climb. Skiers, hikers and anyone planning a trip to location at a significantly higher than what they are used to should be know the signs and symptoms of altitude sickness and how to prevent and treat it. 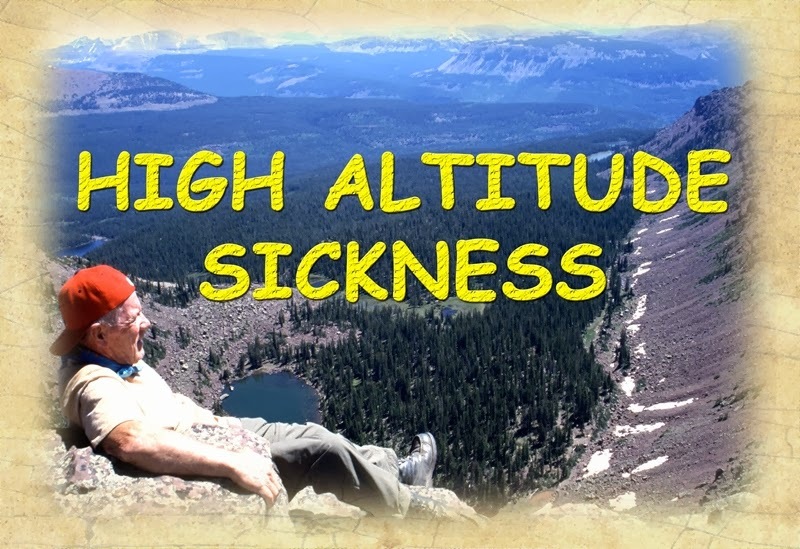 How is Altitude Sickness (Mountain Sickness) diagnosed? How is Altitude Sickness (Mountain Sickness) treated? What are the after-effects of Altitude Sickness (Mountain Sickness)? How can Altitude Sickness (Mountain Sickness) be prevented? Experts do not know much about how altitude affects other diseases. Many people with allergic asthma do better at high altitudes. Still, if you have asthma and are going to high altitudes, continue to use your usual medicine and take your reliever medicine with you. Talk with your doctor about altitude sickness if you have long-term diseases, especially heart problems, sickle cell anemia, chronic obstructive pulmonary disease (COPD), or sleep apnea. Take acetaminophen (Tylenol) for headache. If symptoms worsen, descend approximately 1,000-2,000 feet (300-600 meters) immediately. If descent is not possible, a portable hyperbaric chamber (Gamow bag) can be used to simulate a lower altitude. For example, a hyperbaric chamber at 9,800 feet (3,000 meters) can simulate a descent of 4,800 feet (1,500 meters), but the same hyperbaric chamber used at 24,600 feet (7,500 meters) can simulate a descent of 7,800 feet (2,400 meters). Use the 'buddy system', because you will most likely refuse to acknowledge your own symptoms of altitude sickness. It is not unusual for affected climbers to stubbornly refuse to descend. Don't climb any higher. Camp and wait until the symptoms subside. This can take a couple of days. Make sure they avoid alcohol and cigarettes. Give them aspirin or paracetamol in the usual recommended doses. Encourage them to breathe deeply every few minutes to decrease the level of carbon dioxide in their blood. Give them the recommended doses of the drug dexamethasone. In severe cases of altitude sickness, descend immediately. Aim for a descent of around 500 m to 1,000 m.
Give them diuretic drugs (which promote urine production) to reduce the risk of fluid accumulation. Administer oxygen from a portable oxygen cylinder. 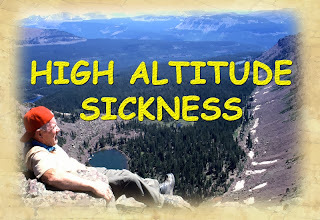 The prognosis for acute altitude sickness is excellent as long as common sense is used. Descending, delaying further ascent, rest, and paying attention to the body's symptoms are usually all that is necessary to ensure a complete recovery. High altitude pulmonary edema (HAPE) has a good outcome if symptoms are recognized and treated early. If descent is impossible or if hyperbaric therapy, supplemental oxygen, and access to medical care are not available, HAPE can progress to respiratory failure and ultimately to death. Remember that HAPE is the number one cause of death from high altitude illness. More than half of people with HACE who develop coma die. Of those who survive, mental impairment and coordination defects may continue to affect them. HACE can be fatal if not recognized and treated quickly. Mountain climbers are at risk of developing altitude sickness. Altitude sickness is caused by ascending too rapidly, which doesn't allow the body enough time to adjust to reduced oxygen and changes in air pressure. Symptoms include headache, vomiting, insomnia and reduced performance and coordination. In severe cases, fluid can build up within the lungs, brain or both, which can be fatal. First aid options include descending immediately, medications and the use of oxygen administered from a portable container.